Sam and I bought a beautiful spec home with a view from Ezra Lee Design + Build back in 2015. After living in the home for 3 years, we went back and hired Ezra's Senior Designer, Landon Taylor, to help us add some special interest to our fireplace and design a cozy situation for our great room and dining space. Landon and his team presented ideas to us in a way that made it very easy to make decisions and move forward on our project. They were good about using our feedback to make changes that better reflected our personal style and desired outcome. We have been very pleased with all of the furniture selections and the balance of form + function has been spot on. Our new space now comfortably seats 22+ people and the overall aesthetic is textural, multidimensional, interesting, and totally "us". Toward the end of our project, I even gave Landon and his team an important deadline, and they totally delivered with a couple days to spare! I would not hesitate to hire them again for a future home, or even another project in our current house. 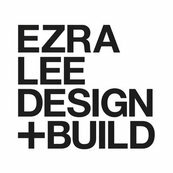 All of my interactions with Ezra and his employees have been nothing but positive. First class product and first class interactions! My wife and I hired Ezra Lee and his team to build our 8,000ft custom home in Draper, UT.